Almost immediately, we were impacted by legislation and taxes far beyond what typical business owners experience. I have been fighting for the right to sell a legal product in Oregon almost since the day we opened. In 1996, Ballot Measure 44 was passed. This measure raised tobacco taxes to 65% of the wholesale cost. This impacted Oregon’s small business tobacco stores. In 1997, I was in the Legislature working with Rep. Tom Brian. The newspapers reported “big tobacco” was attempting to overturn the will of the voters. Those reports were wrong, it was just me. I worked with my friend, customer & mentor Don McIntire to cap the premium cigar tax at the fifty cents per stick we have today. It took us three legislative sessions, a total of six years of non-stop work, to convince the Revenue Committee to save the Mom & Pop retailers in Oregon by capping the cigar tax. Keep in mind, the first full year the fifty cent cigar tax cap was in effect Oregon saw a tobacco tax excise revenue increase of over a million dollars. Our cigar tax cap made it possible and desirable for Oregon cigar smokers to shop in Oregon and give the state back its’ lost revenue. Several other states, inspired by what Oregon’s cigar tax cap had done, took steps toward creating something similar in their states. I assisted several retail friends in other states to help their legislators understand the possibilities of raising revenue without increasing taxes. Nevada is working on capping their premium cigar taxes this session. Oregon was a trailblazer in common sense taxation, we need to continue to find ways to increase the state budget without punishing adults who choose to partake of a legal product. If the budget is the true purpose of this proposed tax increase, you are going the wrong way. Reduce the cap by half and allow Oregon retailers to truly compete with Internet sellers. Today the tax in Oregon on 25 cigars is $12.50, but this is still more than the shipping when they order tax free online. During the six years between the 65% of whole tax and the cigar tax cap, our business lost income, small retail stores all over Oregon closed never to return. Retailers that survived lost countless customers to the Internet. Those internet customers paid zero Oregon excise tax, so Oregon lost out, too. Even now, over a decade later, we still fight the myth that our customers’ products are always cheaper online – this damage is still echoing. Reducing the cigar tax cap even further will continue to bring Oregon smokers’ buying habits back to Oregon and bring tax revenue at the same time. Shipping cost runs around $7 or $8. Oregonian’s will not pay those outrageous tax rates. They left Oregon retailers for online options after Measure 44. There are many more online outlets today than there were before. I think the legislator’s and the public think the wholesale cost is pennies, not dollars. No one in their right mind would pay that tax rate when they can escape it. The same is true for Oregon and its cigar smokers. They want lower prices and will go outside of Oregon to get them. We’ve seen this happen in the past, and now there are 10x as many options online as there were 10-15 years ago. 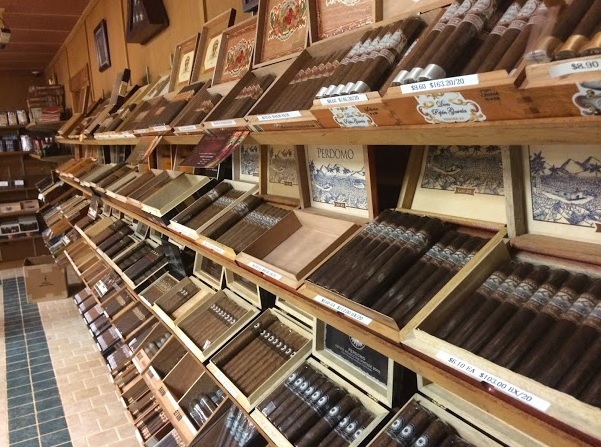 As tobacco retailer with over 27-years’ experience, I can tell you there will be no reduction in cigar smokers, only a reduction in cigar buyers in Oregon. They have options to skip the taxes and will exercise that option like reasonable adults the minute their cigars are taxed at 65% again. This will cost local jobs and cost the state money.